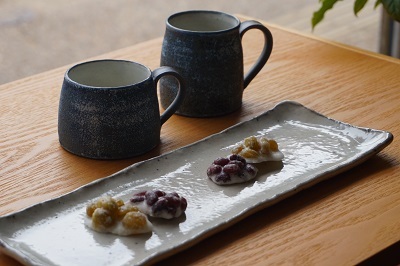 New items have arrived at out shop from Kengo SUGAWARA. 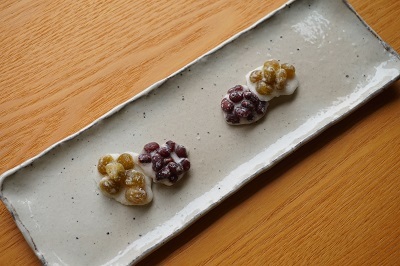 This long square plate is quite nice to serve small sweets. As it has 31cm length, a small cooked fish would be served on it. it will also be good for chocolates, cheese, and etc. but these spots will make the item much deeper.